At this time of the year as a gardener a lot of your work is the same day after day, year after year, you just hope that you get better at it the older you get. 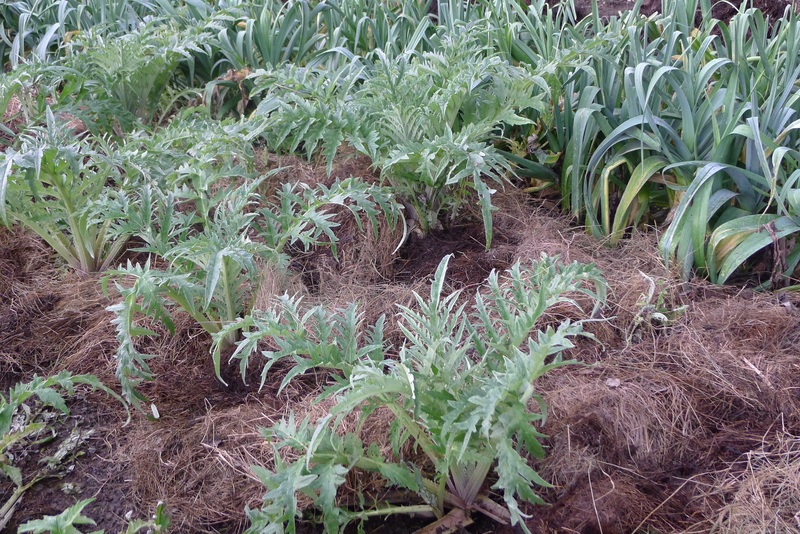 I am spending my time spreading compost and have now covered all the artichokes, I have maybe only one more day of covering the clear soil with compost and then I will start to dig over for the winter, we still have a lot growing in the garden due to the mild weather. I was very sorry to look out the window first thing this morning and not see the white of a frost, the dogs maybe happy we did not get one , a bit cold on their tummy. 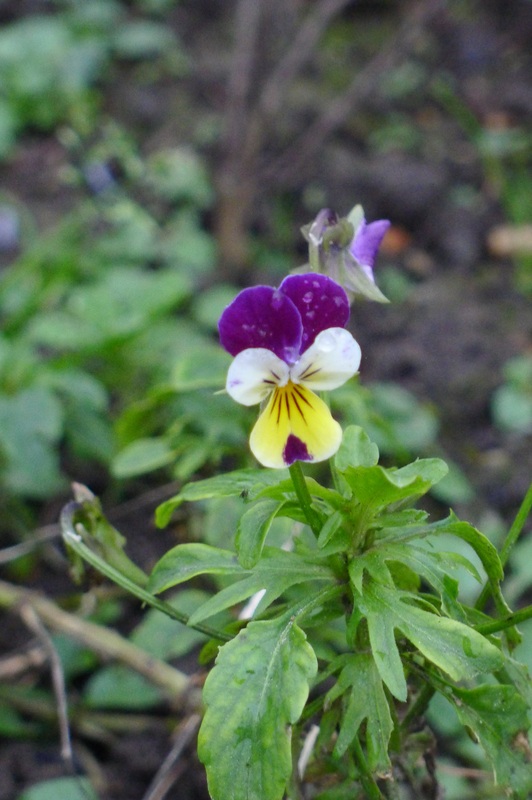 I am still putting piles of compost down, we have such a great heap this year but the joy of the day was the little faces of the violas looking at me, I am just so happy I planted these and they are self sowing around the vegetable garden, a real joy to look at, this is what is needed in the garden at this time of the year and later. They have said that we are going to get a frost tonight, I am very happy about it, it is about time, the plants need to now have a break from growing and the pests now need to be killed by the frost. 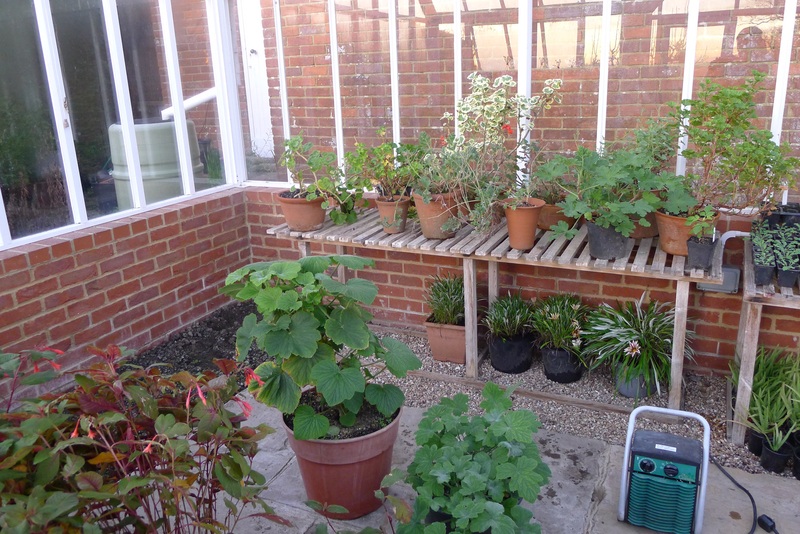 I have moved my collection of palargoniums back into the glasshouse, I moved them in and then out again, they are better off in the fresh air. I look forward to seeing things in the morning. My tulips need this cold also. And for the dogs it was another fun day hunting, and still they do not catch anything, I think for them it is all about the chase. For me it was making apple juice, well I may say the same, it was in the chase, not sure that we produced anything to drink but fun to try. I am going to need to talk with Tom about what apples are best to use, just hope it is one of the three trees I have up in the vegetable garden, but if there is anyone who knows apples it is Tom. 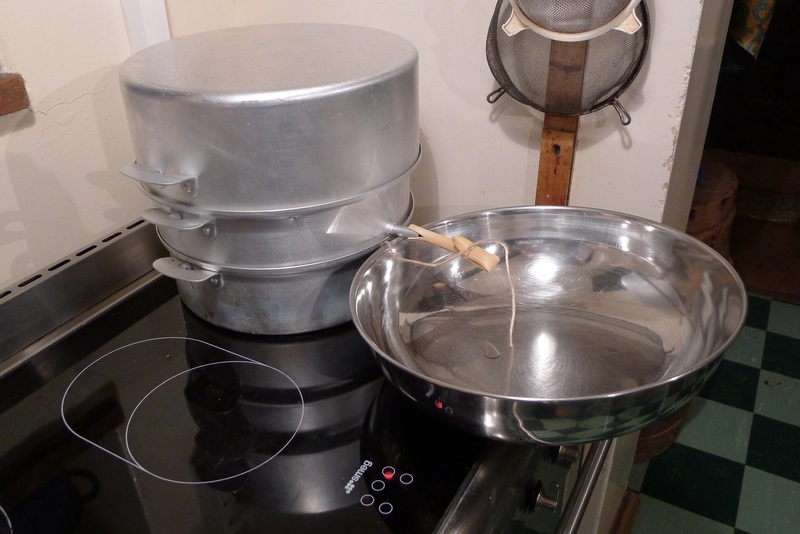 This is a Russian system that uses stem to draw out the juice. And you just have to cut up the apples and take out the pips. Hope the juice is good enough for breakfast. 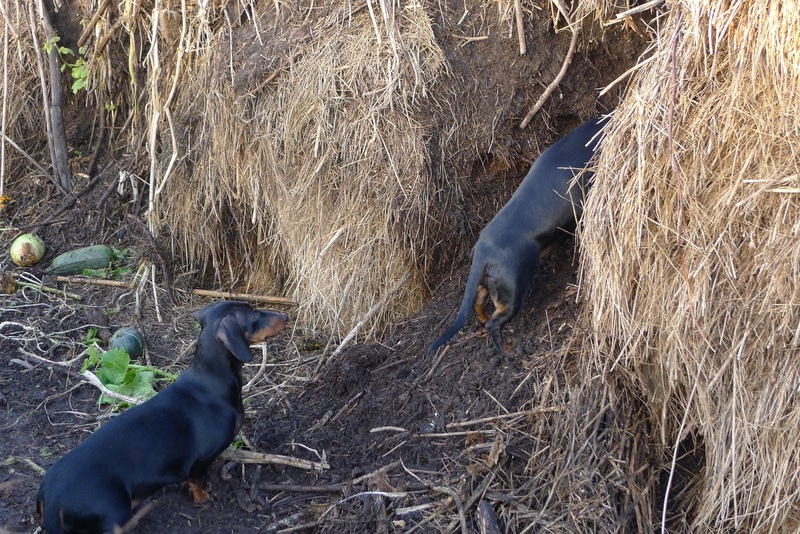 The dogs also had a fun time today looking for rats, there are rat runs through the middle heap, the one I will use next year, the dogs spent the day digging the heap looking for rats to chase, the kept at it all day with no luck, I am sure the rats will move on after today. 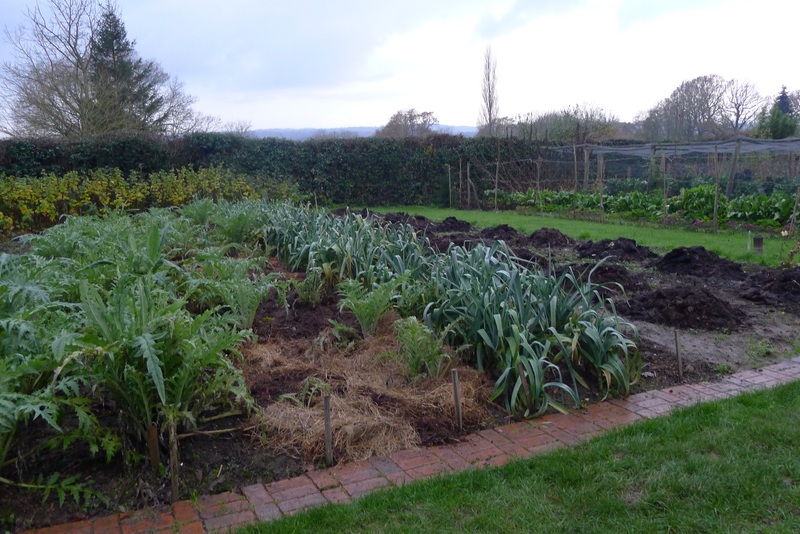 I have now started to move the compost onto the soil today, it was great to look back at the end of the day to take the photo. 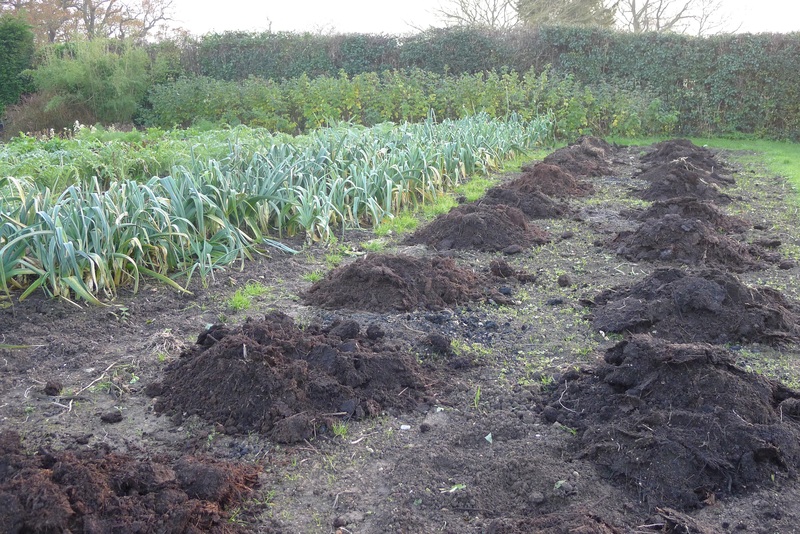 We are a very heavy clay soil and so this winter work is very important to us, the soil needs the compost to break it down and let the roots get into the soil for next spring. Because the weather is so good I am going to use my time to just get the compost from the heap to the garden,in the rain this area becomes a mess. I will clean another area tomorrow and put more compost down while the weather is great. Sometimes you can end the day on such a high and a number of things can make you feel this way, for me it was the perfect weather we are having for this time of the year and that I started to use the compost heap that is perfect, it is three years old, today I started to move the compost onto the soil, the straw from around the edge of the heap I covered the soil around the artichokes with, they are going to be warm this winter. So all in all it was a great day, hope tomorrow will be the same.